Conduct accelerated life tests on materials affected by heat or oxidation with Emerson’s Oxygen Ager and heat/age materials uniformly with Emerson’s GEER Type Aging Oven. 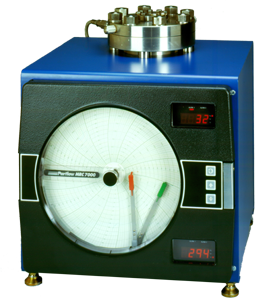 The Emerson Oxygen/Air Aging Vessel is designed to provide a simulated environment for accelerated life tests on all materials whose life is affected by heat or oxidation, such as food products, pharmaceuticals, elastomers, and rubber like materials. Accelerated aging by heat and oxygen under pressure simulates years of life in only days. Results can be used to help formulate new materials and/or provide quality assurance for finished goods. 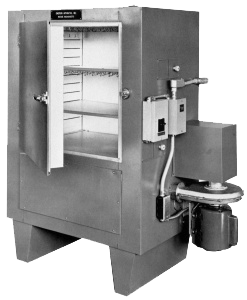 Emerson’s GEER Type Aging Oven is designed for heating/aging where uniform temperatures are required in conformance with ASTM test D573. Under normal operating conditions a continuous stream of heated air is delivered to the chamber and re-circulated by means of a motor driven blower. However, a simple adjustment of inlet and outlet openings will provide a continuous stream of “new” air if so desired.